Facing a lawsuit is a challenging, oftentimes frustrating and sometimes even unnerving experience. The thought of a lawsuit going to trial only magnifies these emotions. Additionally, even if you feel you have a strong case, any time you face a trial and jury you run the risk of a judgment being entered against you. Therefore, you may decide to settle your dispute. A key element of a negotiated conclusion of your case is a settlement agreement. 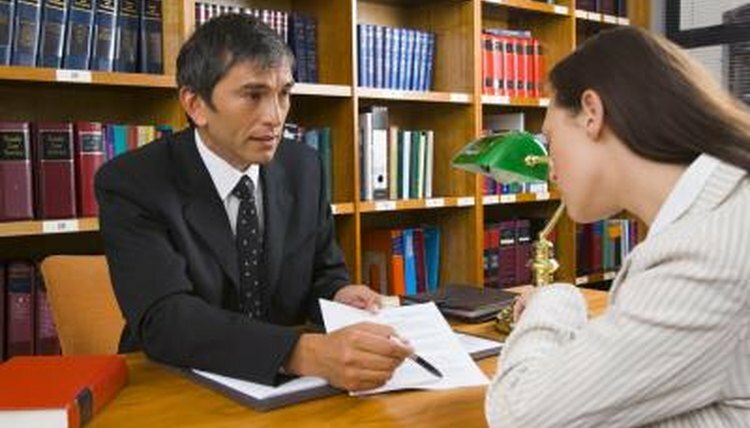 There is a specific procedure in place to write a settlement agreement. Negotiate the basic elements of a settlement of the dispute with the other party. Prepare a letter of agreement summarizing the points of the oral agreement reached. Because a settlement agreement takes time to draft, you do need to get the general points in writing immediately. Use the letter of agreement as the outline to draft the settlement agreement. List the parties to the contract in the first paragraph of the settlement agreement. If there is a lawsuit pending, include the caption from the case as well as the case number. Set forth the specific items of agreement negotiated between the parties. Place each point of agreement in a separate paragraph in the document for clarity. Include a clear statement that the settlement document is the entire agreement between the parties. Include individual signature blocks for all parties to the agreement. Execute the settlement agreement. Both parties need to sign the document. A notary public is not legally required. The parties can elect to sign the document in front of a notary public if they so desire. Broemmel, Mike. "How to Write a Settlement Agreement." , https://legalbeagle.com/5961803-write-settlement-agreement.html. Accessed 25 April 2019.